Here are some of the firms which by now have sent in their US design patent numbers at this questionnaire. These firms between them obtained about one-sixth of all of the US design patents that were granted in 2014. 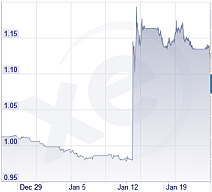 On January 15, 2015 the Swiss Franc rose by about 19 % relative to the US dollar, as shown in this graph (source: XE.com). It’s likely to stay this way for some time. 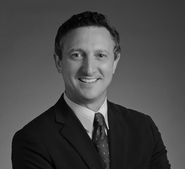 How will this affect filers of PCT patent applications? If you know someone at one of these firms, you might drop them a note and let them know they have six days left to respond with their information. The toteboard will close on January 31 and the rankings will be posted in early February. The USPTO fee reduction options that I blogged about here (December 17, 2014) and here (May 10, 2014) went into effect over the weekend. I invite you to start with the December 17 article if you are not already familiar with this development. Design patents are suddenly important — everybody gets that by now. There are a handful of practitioners who were active in the design patent area long before design patents became fashionable, and Chris Carani is one of that handful. This next Wednesday Chris will host a free of charge live audio program that you can and should attend if your schedule permits. About 23,000 US design patents issued last year. The firms that have thus far responded to be listed in the Design Patent Tote Board between them filed about 2300 design patents, or about ten percent of that total. If you know somebody at one of these firms, I’d be grateful if you can pass along to them a link to this blog post, so that they can complete and submit the questionnaire. Submissions will close January 31 and the tote board will be published in February of 2015. Let’s say you filed a PCT application and picked the USPTO to be your International Searching Authority. Suppose further that ISA/US decided the claims are patentable. When you enter the US national phase from that PCT application, may you safely assume that the USPTO will allow the application? It’s a few months ago that I looked at one of our trademark cases — a Madrid Protocol case that had come in from foreign counsel on behalf of a foreign applicant — and pronounced to anyone who would listen that the case was never going to be approved for publication. I was convinced that the Examining Attorney’s grounds for refusal were impossible to overcome. I figured it was only a matter of time before it would go abandoned. I figured the sole remaining necessary lawyering skill would be communicating a gentle let-down to foreign counsel — an exercise in expectations management. One of my associates was handling the case. The other day I was astonished to learn that my associate had completely overcome the refusal. I asked her how she accomplished this seemingly impossible result. She smiled and explained what had happened. Last year the Intellectual Property Law Section of the State Bar of Michigan invited me to speak at their Spring Seminar 2014 in East Lansing, Michigan. It was a delightful event, well organized and well attended. From the point of view of a speaker, what’s nice is when an audience has lots of good questions. This was such an audience. I am delighted that they have invited me back to speak at this year’s Spring Seminar 2015. You can see the program and brochure. It will be Monday, March 16, again in East Lansing. Fellow intellectual property bloggers Martin Schwimmer (The Trademark Blog) and Eugene Quinn (IPWatchdog) will also be presenting, each of them in a plenary session.